What do our ex students say? The level of instruction provided on the Hamble School of Yachting PST course is in my opinion second to none. All of my instructors were an inspiration and without doubt the most knowledgeble and skillful sailors I have ever seen. The course although intense is very well structured and by the time the distance self sail comes along you know you have been well trained and feel confident and ready to start skippering the yacht on extended passages and in a wide variety of conditions. 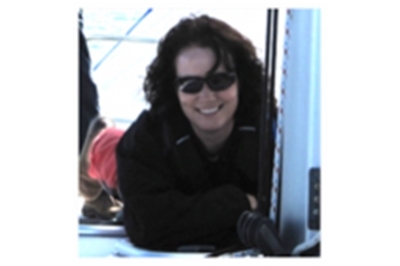 The preparation given for the RYA Yachtmaster exam was very thorough and when it came to the exam itself, although I was a bit nervous at first my training soon helped me to gain the confidence and self belief I needed to pass. 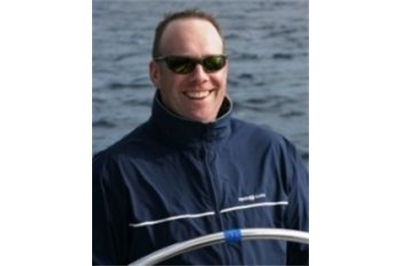 Following a successful career in property development Jason decided to take a change in direction and pursue his ambition of becoming a Yachtmaster. Not put off by a challenge Jason joined the programme in November 2007 just as the weather was really becoming demanding! Below Jason tells us a little about how he found life at Hamble School of Yachting, the training and what his plans for the future are. I had done various sailing courses with other schools around the Solent and elsewhere and reached Day Skipper level, but didn’t feel confident enough to go further. I was taking two steps forward and one step back. I contacted Hamble School of Yachting, following a recommendation, and explained where I was with my sailing and could they help. Immediately they came back with the answer I was looking for and suggested their Professional Sail Training course. I jumped into the PST course at the appropriate place given my previous experience. Straight away I felt comfortable and not out of my depth. Rob and James, the Chief Instructor, had assessed my ability correctly and this gave me the confidence not only in them but also in myself. The others on the course came from all walks of life, from the young guy hoping one day to skipper a super yacht to those who just fancied a change or a challenge. But having the same interest in sailing meant that team spirit soon grew and we all worked hard together as a crew to help each other out. The Hamble skippers are some of the most experienced you will ever meet, and this is reflected in the training. Many of the exercises we did went beyond Yachtmaster and as a consequence when exam time came we were well prepared. There were times when it was tough. When you’re tired and cold and skippering for the first time on your own, worried about making the right decisions Hamble were there to pick you up and dust you down and help you get over that hurdle. The support goes right on to the end and even beyond. When I passed my Yachtmaster late on a Saturday night the first people to ask how I got on were James and the guys. I think Rob was even more pleased than me when he heard of our success! I’ve now done my Cruising Instructors course and can teach up to Day Skipper Practical. And my contact with Hamble doesn’t end there. They have helped me find work as a professional skipper and are encouraging me to go further as an instructor. I’ve now moved down to the Solent to pursue my new career in sailing. 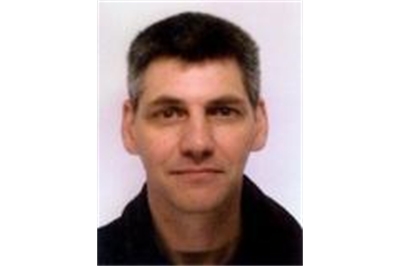 Having spent 20 years in the IT sector Rob Pankhurst joined the Professional Sail Training Programme in April of 2007. Rob had already completed his Dayskipper practical, Yachmaster theory and possessed about 1500 miles of logged experience. As a result, he joined during module 2. 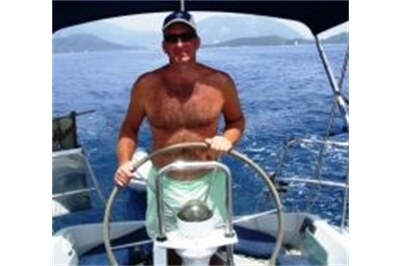 Rob graduated on 10th June 2007 and has not wasted any time putting his Yachtmaster qualification to good use. He has since undertaken numerous yacht deliveries, initially as Mate and more recently as skipper both on private jobs (across the Atlantic both ways) and for Professional Yacht Deliveries Worldwide to a wide variety of destinations. 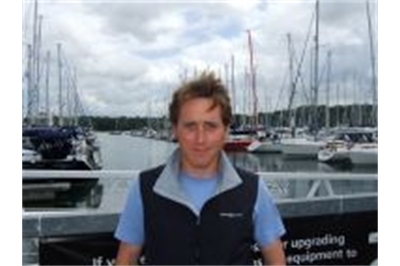 Now qualified as a commercial Ocean Yachtmaster and also as a Cruising Instructor with Hamble School of Yachting, Rob also teaches at the school and will look to upgrade his teaching skills to Yachmaster Instructor in due course. Of Hamble Rob says "I would highly recommend Hamble to anyone looking to further their sailing skills from complete novices to people wanting to brush up on the latest recommended sailing techniques. Throughout the PST course the quality of instruction was very high, which when combined with the friendliness and enthusiasm of the instructors and support staff made the course a fantastic experience overall." I couldn’t recommend Hamble School of Yachting enough to anybody looking to learn to sail. I completed the PST course and at the end obtainalted my Yachtmaster Offshore certificate. The instructors are all extremely experienced and taught me skills above and beyond what I thought I would achieve. Over the duration of the course they really increased my confidence levels and allowed me to make decisions and learn from my mistakes. The best part was being given the yacht and they say “ok, see you in two weeks”. You and the crew get to go explore the amazing waters of the English Channel with no instructor and really consolidate the skills you have been taught. Overall my time at the Hamble was more like a holiday than being at school. Everybody associated with the school from the instructors to the shore staff made the whole experience thoroughly enjoyable. My aim after completing the course was to obtain a job in the Super Yacht industry which I have been doing now for a little over a year and currently work as 3rd Engineer on M/Y Alfa Nero. I have also completed sail yacht deliveries, explored sailing grounds in the Med and Caribbean and I’m currently planning a trip to sail around Indonesia. Completing the PST course at Hamble really opened up new opportunities for me and I would highly recommend anyone to do the same. A sabbatical from my corporate job opened up a new world of personal growth that was addictive & life changing. No limitations were placed on me as a more mature, female student. I was coached, challenged & developed to my full ability by the HSY instructors, whose enthusiasm was infectious. Their adaptability & patience allowed me to learn & enjoy doing so. A vast & never ending array of opportunities were experienced – theory, skills & drills & the adventures of distance sailing. Achievements were celebrated & the odd ugly moment recounted in humour. Now I’m a commercial Skipper & Sailing Instructor. Not what I planned or expected! I hope I can work the same magic on the students I have the pleasure of instructing. I took early retirement last year and finally had the time to get around to getting some sailing qualifications. 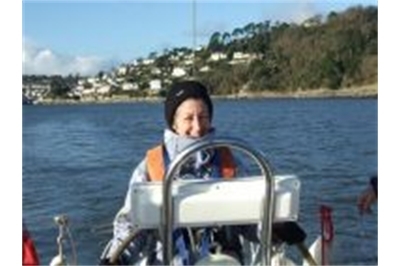 I have sailed for several years but only had a VHF licence and having also recently acquired a boat, I wanted to learn practical sailing skills and navigation, radar and sea survival along with anything else that was available to me. I found the course I wanted with the Hamble School of Yachting, who offered a 17 week Professional Sail Training course. I was a little apprehensive choosing the course, as I didn’t want the qualifications for work, but I was assured that the PST course was suited to all, whether the qualifications were wanted for work or for leisure. I signed up for the February to June course and subsequently set sail in a snowstorm early in February with the other students from all over Europe. Having now sailed through the coldest spring on the Solent for 50 years, I and the other students successfully completed the course and gained our Yachtmaster offshore certificates. I now have the knowledge and confidence to sail anywhere and deal with strong tides and adverse conditions and feel that I will be able to cope when things don’t quite go according to plan. I can thoroughly recommend the PST course to anyone. Age and ability doesn’t matter, we had from 21 to 58 and some who had never sailed before. I can also recommend the Hamble School of Yachting to anyone looking for any sort of sailing qualifications, on the water or shore – based or wanted for leisure or work. During my course I found all the staff at the school to be very dedicated and helpful and the instructors to be highly professional and deeply committed to the difficult task of turning me, and the others into proficient sailors and skippers. I wanted a complete package and that is exactly what I got. Many thanks to all at HSY. Following a successful career as an officer in the British Army Guy Miller decided to follow a life long ambition to learn to sail, buy a yacht and undertake some serious blue water sailing. 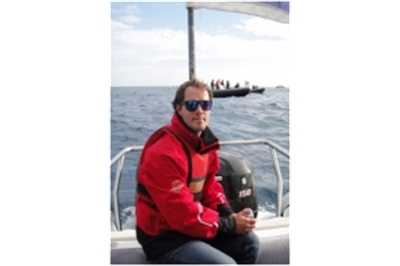 Guy started the Professional Sail Training Programme in February 2008 and successfully graduated on 8th June 2008 along with all 6 of his fellow students. Below Guy tells us a little about how he found life at Hamble School of Yachting, the training and how it equipped him for his future plans. Before joining the course, the principal question in my mind was “am I going receive the quality and level of instruction required to become a good Yachtmaster”? Having now completed the training, I can unequivocally state that the answer is a resounding yes. In fact, the sheer talent and personality present throughout the training staff cannot help but rub off onto you! Excellence pervades through the school almost as if it were ingrained. At times the PST can be both physically and mentally draining and you can find yourself asking why such fatigue is necessary. However, it soon becomes apparent that these times are intentionally designed to help mould you into a professional Yachtmaster, able to handle arduous situations for longer and with more skill than many others. Perversely, I found this element of the course to be just as enjoyable as the other aspects. It has long been an ambition of mine to buy a boat and sail it across the Atlantic to explore the sea around the Caribbean and South America. Thanks to the knowledge and preparation passed onto me by HSY, this dream is being realised later this year, just four months after passing my exam. Kirsten joinedImage the PST course in November 2008 to fullfill a lifelong ambition to gain her Yachtmaster and increase her skills and abilities. Having allready done some sailing she joined at module 2 and worked her way through to succesfully pass her Yachtmaster on 7th February 2009. I wanted to write to thank you both and everyone else involved with Hamble. I still can't quite believe that the whole experience is over but what an experience it was! Seriously the PST course was brilliant. All aspects were so well organised and that says volumes for the organisation within Hamble. On top of that the quality of instructors was exceptional. Given we had several different people you would have expected to have the odd one that you maybe didn't get on so well with but all were absolutely brilliant and I would be delighted if you could pass my thanks to each of them. Each instructor, whilst different made a significant contribution to my learning and I am grateful to each one of them from Terry who had the excitement of my power handling in the first week and still didn't lose his cool, to Richard ( those turns in Gosport and that slide), Tom (you finally got the headsail or mainsail approach through to me), Mark (why stay longer than an hour anywhere?) , Seb (bringing a great French style to enjoying sailing) , Matt (MOB are not just an exercise and I will never forget anchoring in the O in Osborne bay), Caroline (that sail back from Dartmouth to Poole was brilliant) , not least James who is beyond exceptional and of course you giving us a mock exam on Thursday - oh that RYA fog! There is no doubt I found the distance sails the most challenging but somehow Mark and James managed to help us keep laughing as they set us the next challenge and reduced the breaks between each sail!! Tom and James even managed to keep a fun aspect to the 'gruelling' coastal skipper 'tests' in the last week before Christmas. Tom was a brilliant actor with his broken leg and I will never forget getting ready to abandon ship and relieved that I now know I can lift a life raft. Thank you also to Alison for getting the theory into us before we set sail and her book which is my bible now. It was good to see her just before our final week - and thanks for her weather warning which of course was so accurate. I never envisaged snow ball fights on a boat!!. I know there are other people behind the scenes that help make things work that I didn't get to meet properly but I would still wish to say thank you to them. I know only too well how everyone in the team contributes and makes things happen and so how important everyone in the team is. I would certainly recommend Hamble to anyone who was wanting to learn/improve their sailing and am so glad I chose Hamble myself. Hamble seems to be a prefect size - big enough to have stature/quality/professionalism but small enough to have a family and personal feel. The team work is also superb. Overall very professional Really seriously - thank you very much for such a great course. It was much much more than course - a real challenge and change in way of life. Who knows where it will take me but it is certainly an experience I will treasure and remember."